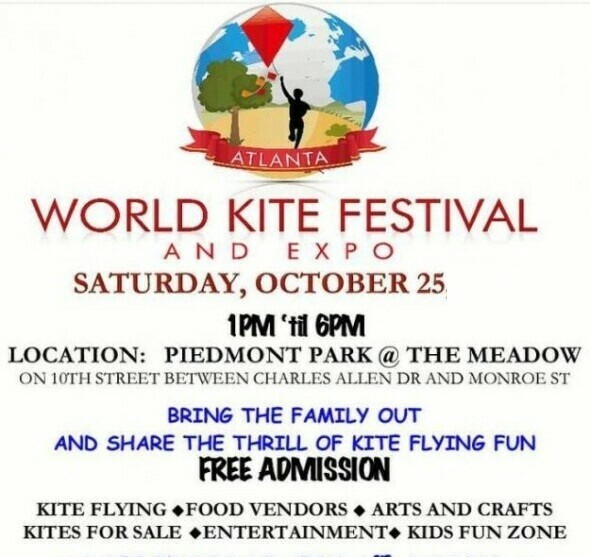 On October 24 head to the Piedmont Park for the Atlanta World Kite Festival . From 1:00 p.m.-6:00 p.m., there’ll be kite flying & demonstrations, live entertainment, fun kid zone, face painting, & more. It’s free to attend the Atlanta World Kite Festival. Next post Do The Lantern Run for FREE!!!!!!!! Hello, just desired to mention, I loved this article.